This matchup between two high performing, spacious SUVs is a difficult one since many features and performance specs are very similar. That is good news for you. If you are looking for a high-performing SUV with space for a large family, it is hard to go wrong with either the 2018 Jeep Grand Cherokee or the Honda Pilot. Both are oriented for urban or rural driving whether the roads are calm and smooth. Both provide enough passenger and cargo space to carry around members of the family and some groceries at the same time. Both offer plenty of protection and intelligent safety features to keep all occupants safe while in use. So where do these two differ? That is the million dollar question that will help you decide which SUV is the best in this matchup. In short, while the Pilot has a lot to offer in terms of affordability and convenience, it fails to provide the extra perks and customizability the Grand Cherokee has burned into its DNA. 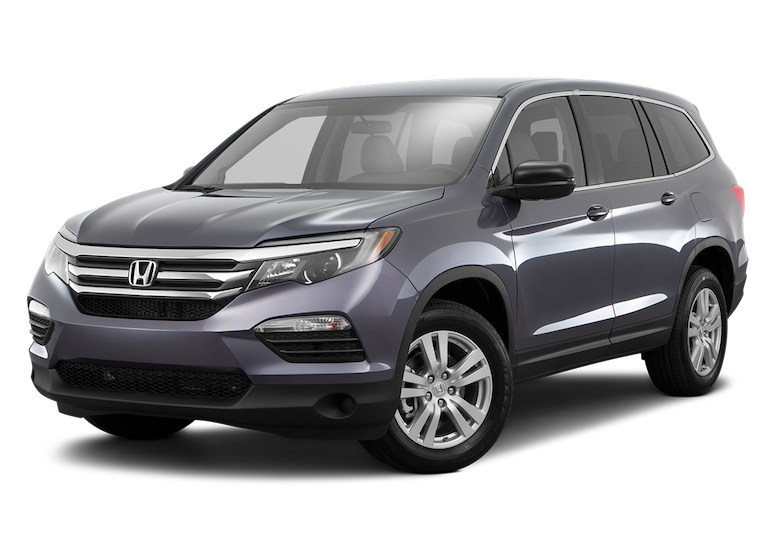 In other words, the Pilot is a generic option that hardly stands out from the sea of modern SUVs today. The Grand Cherokee, on the other hand, retains the same design traits as other Jeeps in the model lineup, including the venerable Wrangler. Here are the specifics that will help you decide which SUV will suit your preferred driving style. The small details and differences between these two great options come down to the features. Included and additional safety and convenience features will determine the extra capabilities and protection you will receive with each option. Since many people buy SUVs for their advanced family-oriented additions as well, the quality of the interior of each vehicle should be a major deciding factor when choosing the right option. Jeep’s traditional buffet-like range of options for its customers continues with the 2018 Grand Cherokee. Safety features are a mix of standard protections like airbags that surround the front row and sides of all occupants in the vehicle and intelligent, active features like adaptive cruise control and blind spot monitoring. The infotainment system is where the vehicle really shines. Coming standard with Apple CarPlay and Android Auto integration, mobile connectivity, and a clean interface, this system proves you get what you pay for with the Grand Cherokee. The key difference between the Grand Cherokee and the Pilot is the number of feature options available. While Jeep takes a customization approach, letting customers select what they want from the different trims, the Pilot is more straightforward. The infotainment system, for example, has a basic package with optional Apple CarPlay and Android Auto compatibility, voice command, and navigation. Compared to the Grand Cherokee, drivers often find the Pilot infotainment system to be less responsive and feature-laden. Once again, the strategy of providing customers different options wins out for the Jeep Grand Cherokee. Nine different trim options will give any customer the range and diversity they need to find the right pick. The Pilot, on the other hand, makes you choose between its more strict set of offerings and limited upgrade options or another competitor. Looks might not be as important in an SUV than other qualities and specs, but a stylish ride can make you feel great. At the very least, the design of the exterior will impact driving characteristics like the driver’s view out of the window, headlight coverage, and overall handling. Sometimes, the smallest differences between two vehicles like the Pilot and Grand Cherokee can be enough to put one above the other depending on what part of the SUV you are looking at. The Jeep Grand Cherokee has some mass to its frame. Slightly higher than other SUVs, the contours are tall to hold a hefty engine and provide passengers with plenty of headroom. The SUV shines in terms of the number of exterior options customers have to choose from when buying a new SUV. Coming in with nine different trim lines, each trim varies in terms of minor details like chrome accents, roof rails, and off-roading accessories that protect the vehicle and improve overall performance. The Pilot, on the other hand, goes with a common exterior design scheme that emphasizes aerodynamics and fuel efficiency. Curvy lines extend from front to rear and gracefully slope up over the roof, providing a lot of headroom in the interior cabin. For people who want a larger presence on the road, the Pilot may fail to live up to expectations since it is closer to the ground and lacks the bulk of the Jeep Grand Cherokee. Given the Jeep pedigree that the Grand Cherokee comes with, most people tend to prefer this SUV over the Honda Pilot design. The exterior strikes a more unique and dynamic look with a majority of customers and manages to carry over some higher forms of customizability found in other Jeep models like the Wrangler. For those wanting to save some money, however, the Pilot still offers a great-looking frame for the money. High performing engines and drivetrains might not be at the top of your list if you are looking for some great space and convenience features, but the overall specs of an SUV determine what it will feel like to drive. Since these two particular options are so large, it is important that their engines can carry the load forward in a variety of driving conditions. 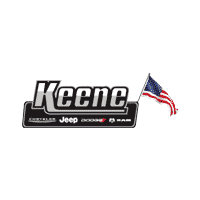 In this department, both the Grand Cherokee and Pilot offer some great options that lean towards the side of performance or fuel efficiency. 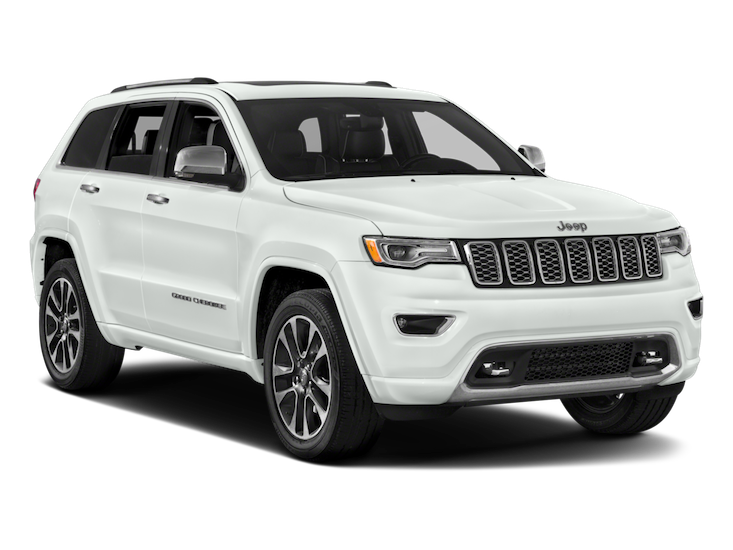 Starting at $30,595, the Jeep Grand Cherokee has a wide range of engine options that allow customers to tailor their preferred driving platform based on their own needs and desires. The engine lineup ranges from 295-707 horsepower. The baseline 3.6L V6 engine is a respectable option for people wanting a good amount of performance and fuel efficiency. The maximum 6.4L V8 engine, on the other hand, rivals many full-size pickup truck options with 707 horsepower and 645 pound-feet of torque. The SUV will average between 11-19 MPG depending on the engine choice. The Pilot comes with an average set of engine and drivetrain options. Most notably, a 3.5L V6 with 280 hp and a nine-speed automatic transmission struggles to offer the acceleration and handling characteristics of other comparable SUVs like the Ford Explorer, GMC Acadia, and Dodge Durango. Towing capability is also lackluster compared to other SUV options. Compared to the wide range of engine options the Grand Cherokee provides, the Pilot disappoints. Whether you’re looking for an SUV to take you around town on the daily commute or out into the wild off-road, the Grand Cherokee is the better pick so you can have the engine power you need. Those who want the performance of the truck will also appreciate the Grand Cherokee’s maximum engine offerings over the Honda Pilot.